This rich and buttery toffee from I Heart Naptime takes about thirty minutes to make and is super easy, too! Perfect for parties, holiday gifts, and snacking! 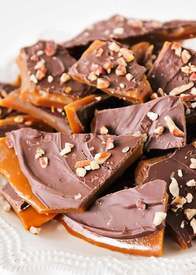 You won't believe how simple this toffee recipe is!